Artists, stitchers, textile experts, history lovers, and storytellers alike all share the same curiosity when it comes to antique quilts. Who made it? Why? Did the stitching help its maker cope with sorrow? Was it quilted by a group a friends? Did children play beneath the quilting frame? More often than not, the years have separated antique quilts from their makers. More often than not, the maker's name is unknown, the stories long forgotten. But not always. 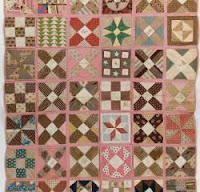 Many quilts connected with the Civil War were made long before the war itself. Mothers and sisters, grandmothers and fiances sometimes sent their men off to war with a quilt from home. In many communities, ladies went door to door collecting quilts and blankets to be shipped to men in the field where they provided literal and emotional comfort during long separations. It's impossible to know how many quilts were reduced to little more than rags during the long years of the war. When you picture a Civil War army encampment, imagine quilts in those tents or on the ground. I remember seeing a patchwork quilt draped over a tent in one period photograph of a war camp. This quilt bears the United States Sanitary Commission's stamp on the back. What does that mean? It means it was made in response to the call for quilts for soldiers during the Civil War. Sometimes called "pot-holder quilts," this style of quilt consists of individual blocks, their raw edges bound before the blocks were stitched together to form a long, narrow quilt that was just the right size for a hospital cot (approximately 48 x 84 inches). 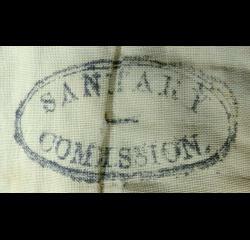 It's estimated that women made at least 150,000 Sanitary Commission quilts after the call went out in 1863. Read more about these quilts here: http://worldquilts.quiltstudy.org/americanstory/engagement/sanitary. My favorite "after the war" quilt story is about this gem housed at the Tennessee history museum in Nashville. The quilt was sent to Martha Jane Edwards and her daughter, Mary Lavenia, of Fosterville, Tennessee, to say thank you for their having hidden a wounded Union soldier during the Battle of Stones River. Another post-war quilt story is represented by this Log Cabin quilt, made in Lexington, MO for a Methodist Episcopal church bazaar to raise money to benefit the families of ex-Confederate soldiers. The woman who first proposed making the quilt donated a swatch from a silk dress embroidered with a winged insect to be the center of each log cabin block. The quilt brought $206 at auction. Untold quilt stories continue to inspire today. Does your family history include a quilt story? Stephanie, loved your quilt stories! 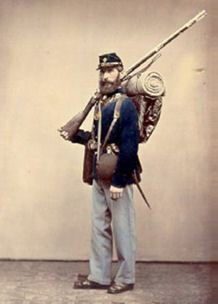 Those civil war quilts must have been a great comfort to the men who carried them. No quilt stories here, but I do love reading about them. That's a great insight ... the literal comfort quilts from home would have given. Good point. Thanks for your kind words. I love quilts and often wonder about the hands that made them, as well as their stories. I have a quilt that was made by my great-great-grandmother. Thank you for sharing this wonderful post, Stephanie. What a treasure you have, Britney, in that quilt from generations ago. No quilt shops here in north platte nebraska but I have been in other cities and states that do and they are amazing to look at. I enjoy browsing too, Kim ... and daydreaming about making them someday, even though I know I probably won't. Love your quilt story, Stephanie. My great grandmother quilted and did beautiful work. My daughter now has one of her quilts. A treasure for sure!